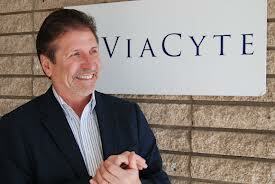 San Diego regenerative medicine company ViaCyte announced this week that the Food and Drug Administration (FDA) approved their Investigational New Drug (IND) Application for PEC-Direct, a cell-based therapy to treat patients at risk for severe complications caused by type 1 diabetes. In the US, IND approval is the final regulatory step required before a therapy can be tested in clinical trials. PEC-Direct is a combination therapy consisting of cells encapsulated in a device that aims to replace the insulin-producing islet cells of the pancreas destroyed in patients with type 1 diabetes. The device contains human stem cell-derived pancreatic progenitor cells that develop into insulin-secreting cells when the device is placed under the patient’s skin. 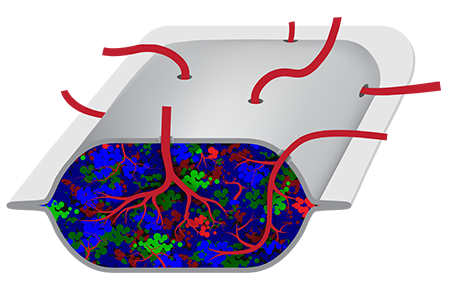 Ports on the surface of the device allow blood vessels from the host to directly contact the cells within, allowing for engraftment of the transplanted cells and for their maturation into islet cells. These cells can sense and regulate blood glucose levels by secreting the hormones found in islets, including insulin. ViaCyte’s PEC-Direct device allows a patient’s blood vessels to integrate and make contact with the transplanted cells. Because PEC-Direct allows for “direct vascularization”, in effect connecting the device to the blood system, patients will need to take immunosuppressive drugs to prevent rejection of the donor cells. ViaCyte is therefore testing this therapy in patients who are at risk for serious complications associated with type 1 diabetes like severe hypoglycemia where a patient’s blood sugar is so low they need immediate medical assistance. Severe hypoglycemia can occur because people with diabetes must inject insulin to control elevated blood sugar, but the injections can exceed the patients’ needs. The resulting low blood sugar can lead to dizziness, irregular heartbeat, and unconsciousness, even death. In some cases, sufferers are not aware of their hypoglycemia symptoms, putting them at increased risk of these life-threatening complications. Approximately 140,000 people in the US and Canada suffer from this form of high-risk diabetes. These patients qualify for islet transplants from donated cadaver tissue. But because donor islets are in limited supply, ViaCyte Clinical Advisor, Dr. James Shapiro at the University of Alberta, believes PEC-Direct will address this issue by providing an unlimited supply of cells. The company’s preclinical research on PEC-Direct, leading up to the FDA’s IND approval, was funded by a CIRM late stage preclinical grant. ViaCyte now plans to launch a clinical trial this year that will evaluate the safety and efficacy of PEC-Direct in the US and Canada. They will enroll approximately 40 patients at multiple clinical trial centers including the University of Alberta in Edmonton, the University of Minnesota, and UC San Diego. The trial will test whether the device is safe and whether the transplanted cells can produce enough insulin to relieve patients of insulin injections and hypoglycemic events. ViaCyte has another product called PEC-Encap, a different implantable device that contains the same cells but protects these cells from the patient’s immune system. The device is being tested in a CIRM-funded Phase 1/2a trial, and ViaCyte is currently collaborating with W. L. Gore & Associates to improve the design of PEC-Encap to improve consistency of engraftment in patients.